Bill Schatz (with hat) & Pump Co. Man - don't remember who the man is half way up the impellers. They are starting to install pump (for test)I think. Location is at 10th & C Ave near reservoir. 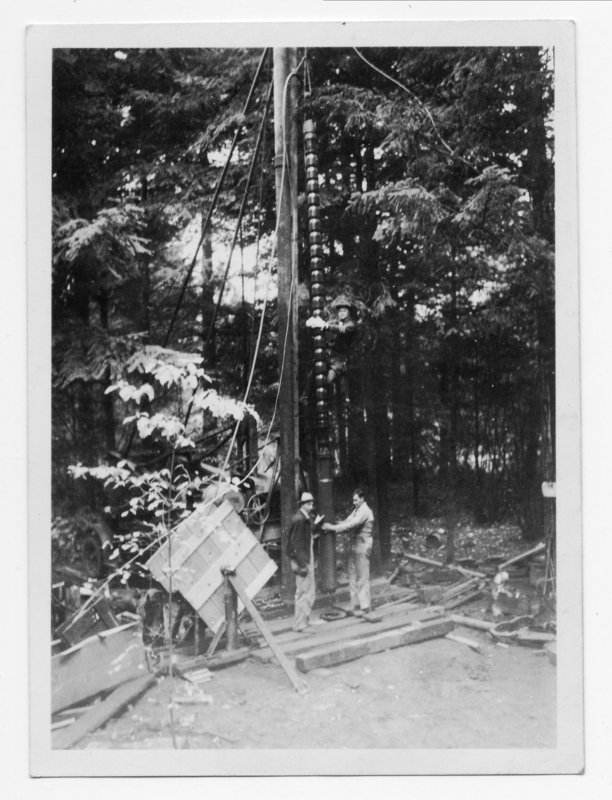 Transcription Bill Schatz (with hat) & Pump Co. Man - don't remember who the man is half way up the impellers. They are starting to install pump (for test)I think. Location is at 10th & C Ave near reservoir. Physical Description H 4.5" x W 3.25"